SaifCo Group and its allied businesses enjoy a diverse business profile ranging from Real Estate Developments(Builders & Developers). Coal Mining Oil & Gas Travel & Tourism.Education. General Trading.Transportation and Software Development. The Business diversity of SaifCo Group ranges from operating mines in the mountains of Darra Adam Khel (FR Kohat. Pakistan) to managing the Deserts Safaris in UAE. Taking part in some of the largest construction projects in Pakistan to delivering up-scale, smart malls in the top-notch commercial zones of Islamabad which includes exclusive shopping mall in Islamabad “Emporium Islamabad” entering in professional educational sector while pioneering in collaborating with informatics Holdings.Singapore and achieving affiliation with University of Peshawar to attaining best selling performance awards in KPK Districts from TOTAL PARCO to running public transport services since 1945. all the while focusing to connect business. opportunity with markets and ushering in prosperity and success for people and communities. Visual Approach “The Emporium Islamabad has been designed carefully in response to the prime site it occupies and the programs it offers. 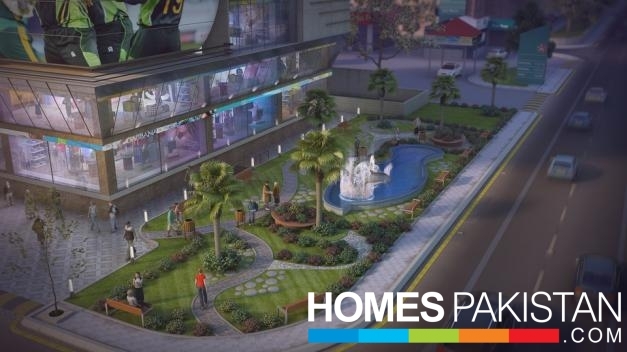 The site is directly opposite F-9 Park in Islamabad and the plot gets four open sides. The location’s vibrancy and grandeur have been successfully incorporated in the design of the building so it is symbolized as a landmark, in the time to come. Balconies and seating areas have been added in the design at multiple altitudes to fill visitors’ leisure time with pleasing views of the park. The design revolves around a central atrium space which connects all the floors visually. The atrium holds a skylight at its rooftop which is a source of natural diffused light inside the building. Shops that are available for sale contains an inquiry form along with Shop information. Emporium Islamabad offers this unique facility to its customers for their ease. Emporium Islamabad is a shopping mall located in the heart of Islamabad. 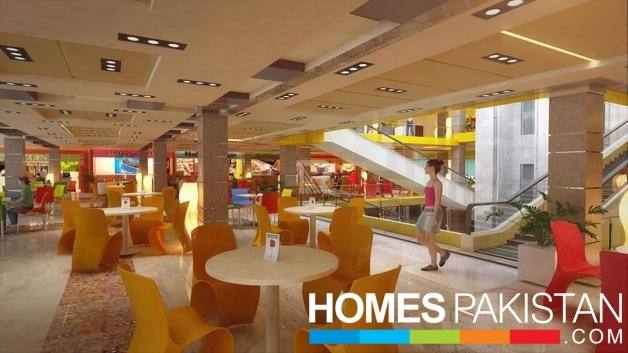 The shopping mall is fully equipped with all the modern facilities and amenities. To cope with the 21st century technology, Emporium Islamabad shopping mall offers a wide range of one of its kind technologies to the customers. 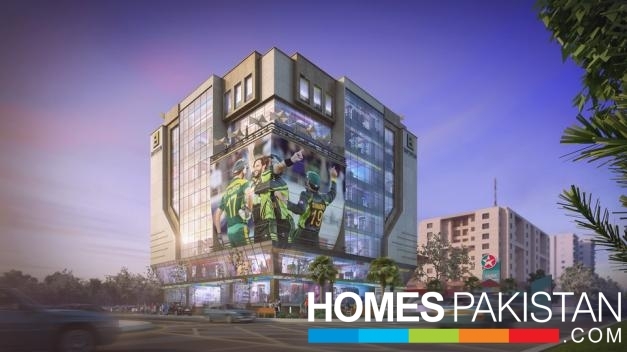 Emporium Islamabad shopping mall is currently offering the booking of the shops, which are ready to be sold. Floor plan names are derived from a floral emblem theme, presenting strong symbolic associations. Each shop has its own alpha-numeric identification code. Unique Floor Themes: Distinguish’ is the very word that describes the Emporium Islamabad Floors. Each floor reflects a unique theme, look and feel. Floor Names are derived from a floral emblem theme, which adds rich elements of colors and freshness to the mall and creates distinctiveness for each floor. In addition to offering a smart retail mix the upscale mall continues to unveil a new excitement at each level. Presenting strong symbolic associations, the floral-emblem concept aims at encouraging the visitors to explore the splendor of remarkable aesthetic outstandingly portrayed at each floor.